No surprise folk didn’t get this given Dan didn’t even realise. 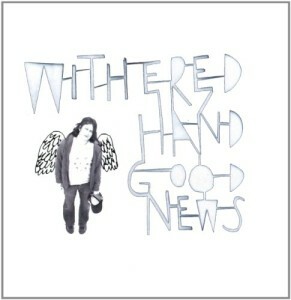 Our biggest ever selling album by a local artist “Good News” by Withered Hand was released four years ago on Saturday. To mark the occasion we will have some goodies to give away in the shop and something for those further afield online. That’s all I can say at the moment mainly as Dan hasn’t finished looking under his bed and down the sofa for suitable mementos.